On Your 'Marc,' Get Set, Go! HUNTERSVILLE, N.C. (Oct. 21, 2008) -- There have been milestones aplenty for the NASCAR Nationwide Series program at Joe Gibbs Racing (JGR) already this season, and teenage driving prodigy Marc Davis gets to add to that growing list when he straps into the No. 18 DLP HDTV Toyota Camry for Saturday's Kroger On Track for the Cure 250 at Memphis Motorsports Park in Millington, Tenn. The 18-year-old African-American from Silver Spring, Md., will make his first Nationwide Series start in Saturday's 250-lap event around the .75-mile oval that lays just a stone's throw from the banks of the Mississippi. A product of the JGR driver development program founded by Joe Gibbs and the late Reggie White in May 2003, Davis made quite a name for himself and JGR in the NASCAR Camping World Series East the past two seasons, racking up eight top-five finishes and 13 top-10s in 26 races. He finished the 2008 campaign two weekends ago fifth in the season-ending point standings after placing ninth as a series rookie in 2007. Saturday's Nationwide Series race puts Davis in the highly enviable position of driving for JGR's No. 18 Toyota team, which heads to Memphis riding a three-race winning streak after victories by Kyle Busch at Dover (Sept. 20), Denny Hamlin at Kansas (Sept. 27), and Busch again at Charlotte (Oct. 10) -- three of the No. 18 team's nine wins in all this season. With another nine Nationwide Series victories by its No. 20 Toyota team, JGR has become the winningest organization in a single season in series history. Of course, Davis would like nothing better than to add to those impressive victory totals beginning this weekend as he is introduced to the Nationwide Series ranks as JGR's latest teen driving phenom. Fellow 18-year-old and Camping World Series East graduate Joey Logano, with whom Davis traded paint on numerous occasions in 2007, has already made history this season by becoming the youngest Nationwide Series winner ever when he drove JGR's No. 20 Toyota to victory in June at Kentucky Speedway in Sparta. 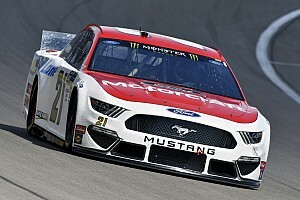 Logano will once again be behind the wheel of the No. 20 car in Memphis as a teammate to Davis. Like JGR's Nationwide Series teams this season, Davis is certainly no stranger to victory lane. He parlayed a strong 2006 season in the Limited Late Model and Late Model ranks at Hickory (N.C.) Motor Speedway into his Camping World Series East ride for JGR in 2007 and 2008. He became just the second African-American driver to win at Hickory, a feat first accomplished by former JGR development driver Chris Bristol in April 2004. Davis tallied six victories during his remarkable rookie season, along with six poles, 17 top-fives and 20 top-10s. While Saturday marks the Nationwide Series debut for Davis, it won't be his first taste of competition in NASCAR's top-three series. In early September, just up the Mississippi at Gateway International Raceway in Madison, Ill., he put in a solid day's work in the NASCAR Craftsman Truck Series race, driving the No. 81 entry that is co-owned by National Football League star receiver Randy Moss. Davis qualified the race truck 12th and finished 16th, proving his racing mettle on one of NASCAR's quirkiest ovals. The No. 18 Toyota team from JGR is hoping for more of the same from its latest 18-year-old driving sensation Saturday at Memphis. There couldn't be a better place as, after all, more often than not this season JGR's Nationwide Series teams have had the competition singing the blues. Despite the fact that you're only 18, you must have been waiting for this moment for a long time. What's that wait been like? "It's been a long time coming. 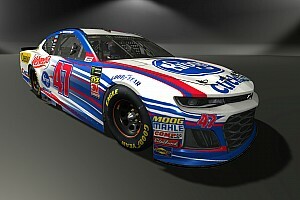 I'm really looking forward to making my Nationwide Series debut with Joe Gibbs Racing and especially with DLP on the car. I'm really excited about it and looking forward to it." 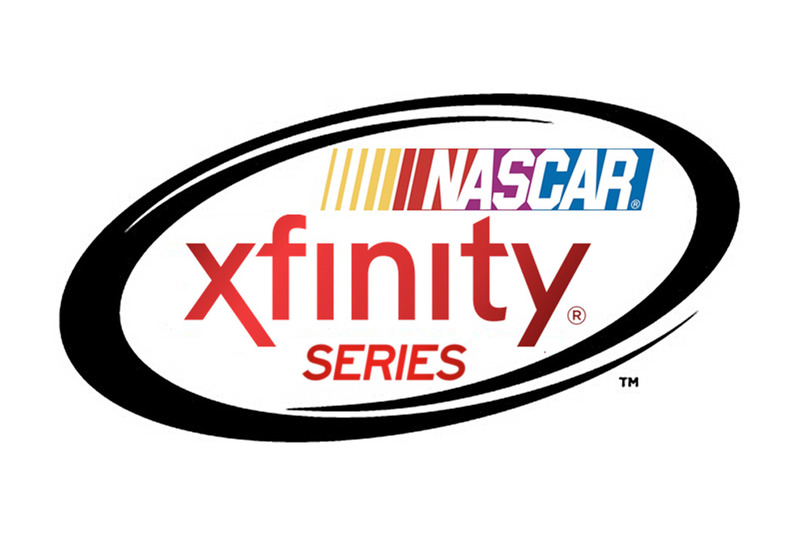 How much has competing in the NASCAR Camping World Series East prepared you for your Nationwide Series debut? "Running the East Series has kind of lessened the learning curve. I've spent two years in the East Series and we've had some good finishes. I've learned a lot about big cars and big tracks, so I think it's prepared me well for the Nationwide Series." Have you ever raced or tested at Memphis? "No. I've seen it on video games and I've watched tapes of a lot of Nationwide and Craftsman Truck Series races there. I've never competed there, but I've tried to learn everything I can about the track." Having not been to Memphis, are you a little apprehensive? "Most definitely. It's something that happens when you're a young driver and haven't been to a track before. It's all about the learning curve. I think what I have seen of it (on the video games and on tape), I won't be completely blind to it, though." A lot will be made about the fact that you're an African-American making his Nationwide Series debut, simply because it's something that doesn't happen all the time. Do you pay much attention to that, or is it something you don't even think about? "Not at all. I'm just a race car driver. It's just something I don't really think about." People talk about pressure, but is it safe to say the most pressure you'll face is the pressure you put on yourself? "Definitely. When you break it down, the No. 18 car has nine wins this year. When you get in that car, you expect to run well, and I expect to run well, myself. The most pressure I'll feel is from myself to perform well. That's something I think I need to do." When the checkered flag drops on the Nationwide Series race at Memphis, where do you want to be? Basically, what do you want to achieve that weekend? "It's almost like a checklist for the weekend. You want to do well in practice, you want to do well in qualifying and you want to finish the race. With the equipment JGR has, if you run a clean, smart race, you should be up front at the end of the race and maybe you can even start making some moves. So, I expect a top-10 and, hopefully, something better than that." 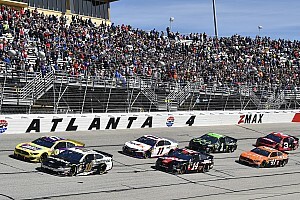 For you as a father, can you describe what it's like to see your son reach a milestone event like this, in which he's about to make his debut in the NASCAR Nationwide Series? "It's exciting to get to the milestone, but the milestone is just the beginning. There is so much more that he has to learn. It's great to see that he's accomplished all the goals that he set for himself to get to this point. But then, as soon as you get to this point, where you realize you're in your first, big race, it's another beginning. So while it's a point of celebration, it's also a point of refocusing and recharging all your batteries as you work toward your next big challenge, which comes Saturday afternoon." Where does this debut rank personally for you in light of what Marc's already accomplished at the young age of 18? "My philosophy has always been, if you give your child expectations, and give them the tools to go forward, it all comes down to their focus. And if it's something they want, they will exceed your expectations. Because it's his dream, not mine, my job is just to provide him the tools so he can go forward and be successful. Through the efforts of Coach (Joe) Gibbs and J.D. (Gibbs), all the tools have been lined up so Marc can have a real shot at being successful." Anybody who's gotten to this point in motorsports has sacrificed a lot. Can you talk about the sacrifices you made for Marc, and the sacrifices he's made, and does it make this whole occasion that much more special and rewarding? "I don't know what terms to put it in. It is a special feeling to see your kid accomplish a goal that not a lot of people have accomplished before. When he takes the track Saturday, there will only be 43 people doing what he's going to be doing in the whole world. That's a huge deal. If he was a football player, there'd be 800 players in the league. If he was in baseball, there'd be a couple hundred players in the league. But in NASCAR, in any given race, there are just 43 athletes. So the odds are about impossible. All the sacrifices he's had to make, and the family's had to make, that makes it special. I tell him, 'Let's enjoy the moment. Just drive it. But understand that it's just the beginning.'" Do you have a favorite memory of Marc coming up through the ranks? He said racing has really given you a chance to spend a lot of time together. Do you have a favorite memory? "There's a picture I have of him winning the BMX East Coast championship. The trophy is probably bigger than he was when he was eight years old. That was a special feeling because, the first race he ever did in BMX, he couldn't get over the first jump so he just rode around it. So then, a year and a half later, he's No. 1 on the East Coast, and the following summer he's No. 2 in the whole country. That showed me he had the perseverance and determination that he was going to accomplish a goal no matter what it was. Another time, I brought him down to Lowe's Motor Speedway when he was 9 or 10, and he was overwhelmed by the size of the place. We were standing in victory lane, and he said, 'This is a big deal.' This Saturday afternoon, it's going to be another big deal -- huge in magnitude -- because he understands what he's had to go through. Once again, he's a rookie. Sometimes it feels like he'll forever be the rookie when you keep moving up to a new level every two years. But he's got only one more series to go to be the rookie after this one, and that would be the goal." What kind of advice are you going to give Marc before he goes to Memphis, and maybe after it's over? "I haven't decided, yet. I don't know, when I give him a pep talk, I usually don't finish the sentence. But the sentence always goes something like this: 'Go have some fun ...' The part I never finish is: 'Winning is fun.' That part kind of goes unsaid. Chassis No. 1876: This car is competing in its first event of the 2008 season after getting a new Toyota Camry body via JGR's 2008 switch to new manufacturer Toyota. In July 2007, the last time Chassis No. 1876 took to the track, former JGR driver Brad Coleman started 20th and finished 27th at Gateway International Raceway in Madison, Ill. The previous month, Coleman qualified fourth and finished fourth with this car at The Milwaukee Mile.